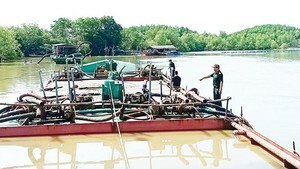 Nearly 2,000 youths in Ho Chi Minh City yesterday partook in an environment festival named “Lac vao hoang da” (Straying in wildland) jointly held by Global Environmental Change and the U.S.-based environmental organization WildAid in Labor Culture House in district 1. 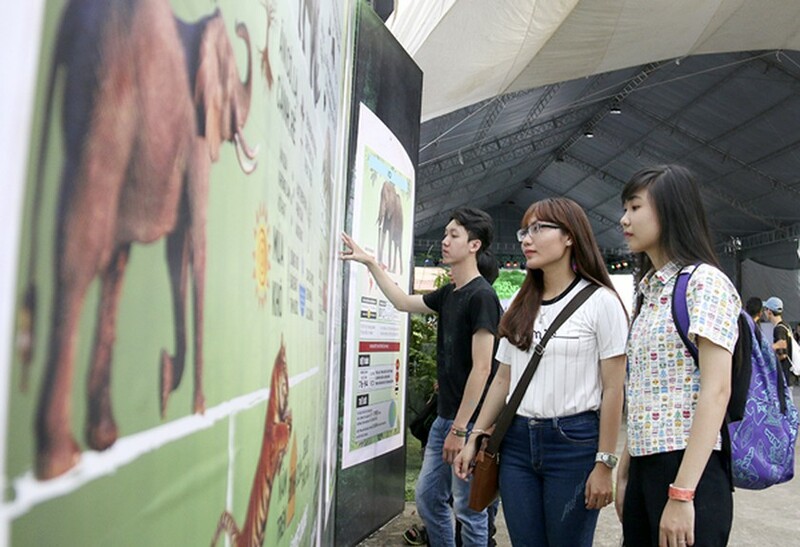 The event is one of activities in response to the conference on Illegal Wildlife Trade (IWT) – Vietnam’s most highlighted environment protection activity in 2016. The festival had eight different sections, young people could read information of the diversity, endangered status of wild animals such as pangolin, rhino, elephant, and tiger; play in activities to understand more the importance of wildlife and other games; take photos in 3D animated space. Especially, young people promised to protect wildlife by press a button in the wall. The event had seen the participation of celebrities including singers Thanh Bui, Hoang Bach, Duc Tuyen, Trong Hieu, Miss Pham Huong, MC Phan Anh.